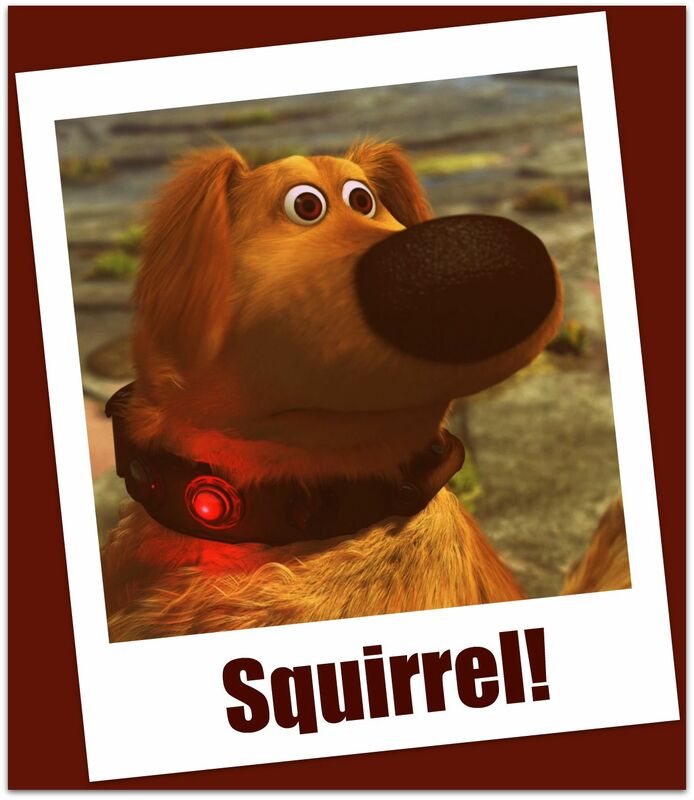 Regain Your Focus: Stop Chasing Squirrels!! Think about your day, your week… Are you doing what you need to do in order to advance your strategic objectives? Or are you living moment to moment, email by email? In this world of constant communication and inevitable distraction, are you staying focused? It’s tough, right? NOTE: I’m writing this post based on personal experience. Yep, this happens to me! It’s good to reflect. The basis for this blog post: People have good ideas. In fact, most people just want to help make us better than we already are. Remember that. When someone pitches a billion new ideas to you, think to yourself: can you execute these ideas? What will it take? What advances your goals? Are you doing the new just because it’s new?? A word of caution: If you don’t watch out, you’ll end up doing what I like to call “chasing squirrels.” Ever tried to catch a squirrel before? (Okay, maybe it’s just me…) 🙂 Catching a squirrel is really hard to do! The little buggers zig and zag, making it nearly impossible to anticipate their next move. They’re not focused and they’re doing all they can to disrupt your focus. Listen. Hear them out. There may be some really great ideas that align with your objectives. Watch out for the ideas that have you chasing our furry metaphoric friends. Bonus tip: Be sure to listen with both ears – this isn’t the time to combat their ideas. Acknowledge. Let them know you were listening. If the person has good ideas, tell them. Chances are, you’ll be able to take a few, tweak them, and implement them to benefit your overall organization. Share your perspective. Put them in your shoes. Help them understand your challenges and tactical issues at hand. People who have all the great ideas typically don’t think about how they’ll be implemented. Those fantastic “pie in the sky” ideas may just be too far-reaching for a small team to execute. Say yes (or no) and ACTIVATE the Thinkers! This is your time to choose. Does it make sense? No? Then don’t do it! If it does align with your objectives, you have the available resources at hand and can execute the project effectively, then get started! Establish your timeline, expectations and action steps for each person involved. Be sure to involve the Thinker in the execution process. That way, they’ll see their ideas being implemented, but more importantly, see how challenging the process can be. They might think twice before offering up a bazillion wild ideas in your next meeting, suggesting only one or two realistic changes instead. You have to be honest with yourself and with your colleagues. They should respect the fact that you’re focused on the strategic objectives at hand. This isn’t an all-inclusive list, but doing these few things can help you go from squirrel chaser to official Squirrel Wrangler. Go ahead. Give it a try!